When Michael Phelps appeared with cupping marks, everyone started talking. So here is the skinny. 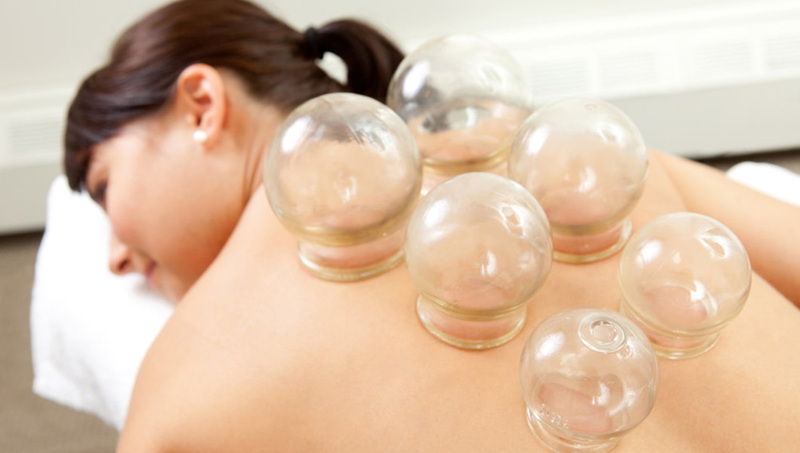 Cupping has been used in Traditional Chinese Medicine (TCM) as well as other cultures for centuries. Cupping therapy’s goal is to promote the free flow of Qi and blood through the channels and muscles. Traditionally, bamboo cups were used, but today, glass or plastic cups are utilized. In the technique called fire cupping, the air in the cup is heated with a flame; when it is placed on the skin, the cooling of the air produces a vacuum which pulls the skin into the cup. Plastic style cups use a pump mechanism in order to produce the suction. The main function of cupping is to promote the free flow of Qi and blood through the channels and the muscles. This means it helps to relieve the stress and toxins that resides in the muscles. It is often applied on the back, shoulders and legs. Another function of cupping in TCM (as well as in the Middle East) is to “dispel wind-cold-dampness”. In the theory of TCM, illnesses such as the common cold are due the invasion of “evil wind” into the body, usually bringing along with it cold, dampness, or both. These evils enter the body, causing disruption of Qi and blood flow leading to muscle aches, and headaches, along with the other symptoms of chills, fever, nasal congestion (being disruption of Lung Qi). The cups are used in this situation to open the pores to pull out and expel the evil, allowing for the proper flow and function of Qi, thus alleviating the aches, pains and helping resolve the illness quicker. WHAT’S C-UP WITH THOSE MARKS? What is easy to see is the aftermath of cupping therapy: the round dark red or purple circles. There are two therapeutic outcomes of cupping. The first is that it provides separation between the skin, muscles and the fascial layer between them. The second, which results in the marks (and part of the TCM theory), is that it pulls to the surface the blood and Qi stagnated in the channels and muscles. In pulling it to the surface, two things can occur: circulating Qi at the surface moves out the old blood, and space is provided in the tissue for fresh blood to enter, providing new nutrients for healing. The marks may last up to two weeks, sometimes less, but in severe cases of stagnation, a little longer. The post All the rage: Cupping Therapy appeared first on Bend Wellness Acupuncture. 5 Reasons Women Get Acupuncture!